Unemployed, aimless, stuck in a mundane relationship with a burned-out social worker, an anonymous writer (of some sort) awaits the phone call that he believes will change their fortunes: his being hired to script a television commercial featuring renowned actor Gary Oldman. In preparation for the momentous day, his various obsessions connected to Oldman’s cinematic career hold forth, including the return of his girlfriend’s marginally “famous” sister from a Los Angeles psychiatric ward and her ensuing disappearance, as well as his questionable attraction to them both. 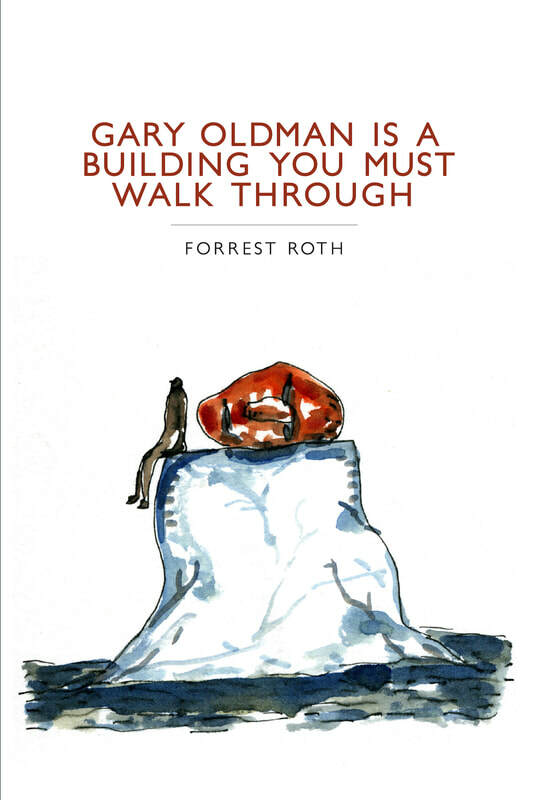 But once the quasi-narrative of assorted characters he creates for her consolation over the lost sister begins, the only story to prevail may be an inescapable echo chamber of Oldman’s dialogic influence into which everything and everyone must fall. —Gabriel Blackwell, author of Madeleine E.
"The point of the novel is for the reader to experience an unmooring of their own individuality or sovereignty and to question whether or not the author and the reader, or the viewer and Gary Oldman, have a much more complicated relationship than most people think when they sit down to read a book or watch a movie." "About its own architecture—in the sense of both visible pieces and invisible demands, engineering for necessity as well as aesthetics, with certain pillars and shifting panels recurring in formulation after formulation, like a sketch for a Futurist painting or a draft of a typed letter or a maquette of carefully folded paper that will serve as the model of a Frank Gehry building—this is a book that swiftly lures you into a labyrinthine experiment in narrative, in writing." "Forrest Roth’s debut novel is as much a prose poem as it is a work of fiction: a narrative swaddled in sestina and synecdoche, which emerges fitfully, slyly, but not accidentally from layers upon layers of self-referential language and repeated scenes, like the Cheshire Cat arriving on the scene grin-first."